The previous post showed how the proportions of green algae and diatoms changed as the total quantity of algae in the River Ehen waxed and waned over the course of a year. The BenthoTorch, however, also measures “blue-green algae” and so let’s look at how this group changes in order to complete the picture. Before starting, though, we need to consider one of the major flaws of the BenthoTorch: its algorithms purport to evaluate the quantities of three major groups of algae yet, in my posts about the River Ehen I have also talked about a fourth group, the red algae, or Rhodophyta (most recently in “The only way is up …”). Having pointed a BenthoTorch at numerous stones with thick growths of Audouinella,we can report that Rhodophyta seem to be bundled in with the blue-green alga signal, which is no great surprise given the similarity in their pigments. It is, however, one of a number of examples of the need to interpret any BenthoTorch results with your brain fully engaged, and not just to treat outputs at face value. Similar questions need to be asked of the Xanthophyta and Chrysophyta, though the latter tend not to be common in UK streams. Relationship between the proportion of “blue-green algae” (Cyanobacteria and Rhodophyta) and the total quantity of benthic algae (expressed as chlorophyll concentration) in the River Ehen (c.) and Croasdale Beck (d.). The blue lines show quantile regression fits at p = 0.8, 0.5 and 0.2. In contrast to the green algae and diatoms, the Cyanobacteria/Rhodophyta signal shows a strong negative relationship as biomass increases though, again, there is enough scatter in this relationship to make it necessary to approach this graph with caution. I suspect, for example, that the data points on the upper right side of the data cloud represents samples rich in Audouinella, which tends to occur in winter when biomass, generally, is much greater. On the other hand, Croasdale Beck, in particular, has a lot of encrusting Chamaesiphon fuscus colonies which are pretty much perennial (see “a bigger splash …”) but whose relative importance in the BenthoTorch output will be greatest when the other two groups of algae are sparse. 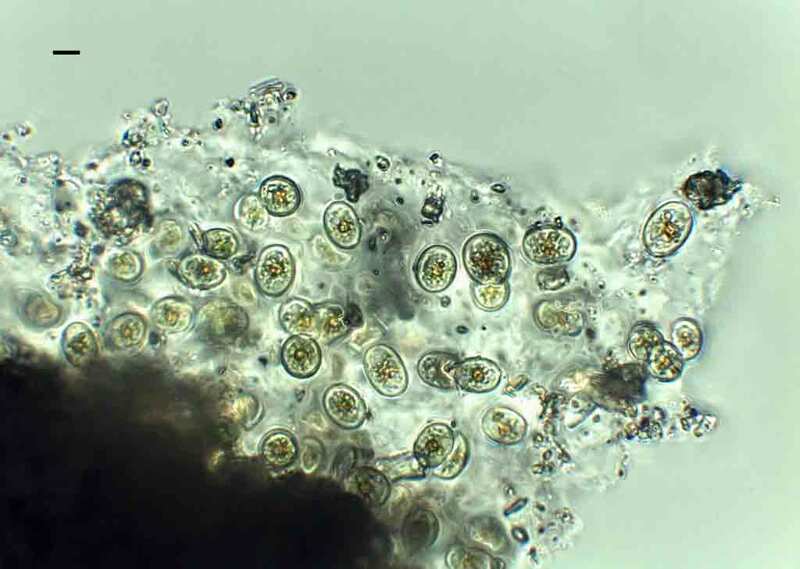 I suspect that encrusting members of this genus are favoured by conditions that do not allow a high biomass of other algae to develop, as these will reduce the amount of light that the Chamaesiphonreceives. Thicker biofilms in the River Ehen often have some narrow Phormidium-type filaments as well as small bundles of nitrogen-fixing Calothrix, but the overall proportion is generally low relative to the mass of diatoms and green algae that predominate. But that is not really telling us the whole story. I finished my previous post with a graph showing how the variation in biomass increases as the biomass increases. The heterogeneity of stream algal communities, however, cannot be captured fully at the spatial scale at which the BenthoTorch works: there is a patchiness that is apparent to the naked eye: one of our sites has distinct mats of Phormidium autumnale towards one margin, and dense Lemaneagrowths in the fastest-flowing sections, largely attached to unmovable boulders, which makes biomass measurement very difficult. 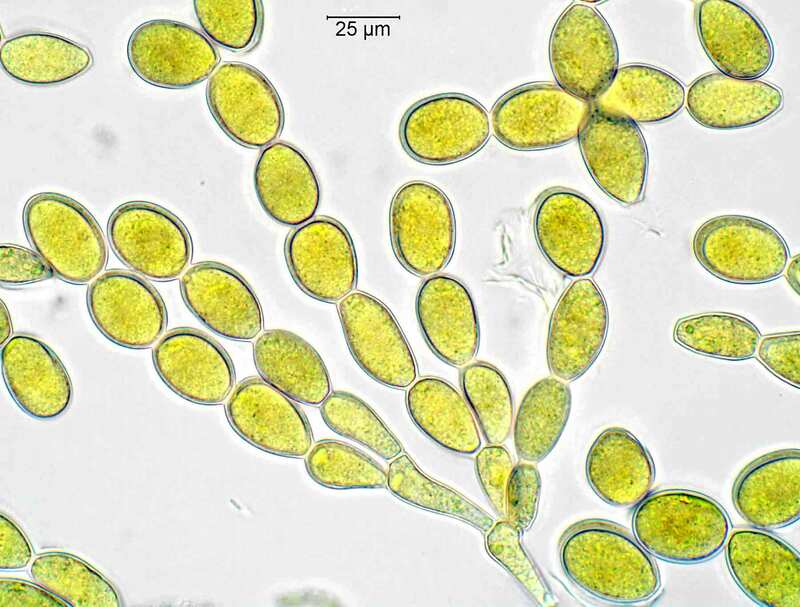 I’ve also written about distinct growths of Tolypothrix and its epiphytes (see “River Ehen … again”), another alga which forms discrete colonies at a few locations. I try to collect a random sample of stones from a site but there are constraints, including accessibility, especially when the river rises above base flow. In the River Ehen we also have to take care not to disturb any mussels whilst removing stones. Whilst our sampling cannot really be described as “random” I do think that there is sufficient consistency in the patterns we see for the results to be meaningful. We could spend a lot more time finessing the sampling design yet for little extra scientific gain. I prefer to think of these measurements as one part of a complex jigsaw that is slowly revealing the interactions between the constituents of the dynamic ecosystem of the River Ehen. 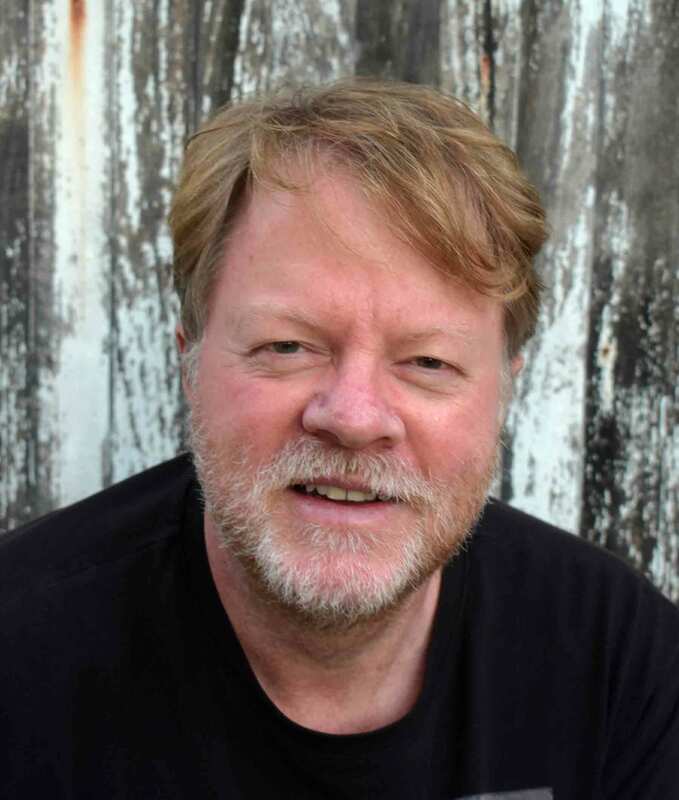 The important thing is to not place too much faith in any single strand of evidence, and to have enough awareness of the broader biology of the stream to read beyond the face value indications. 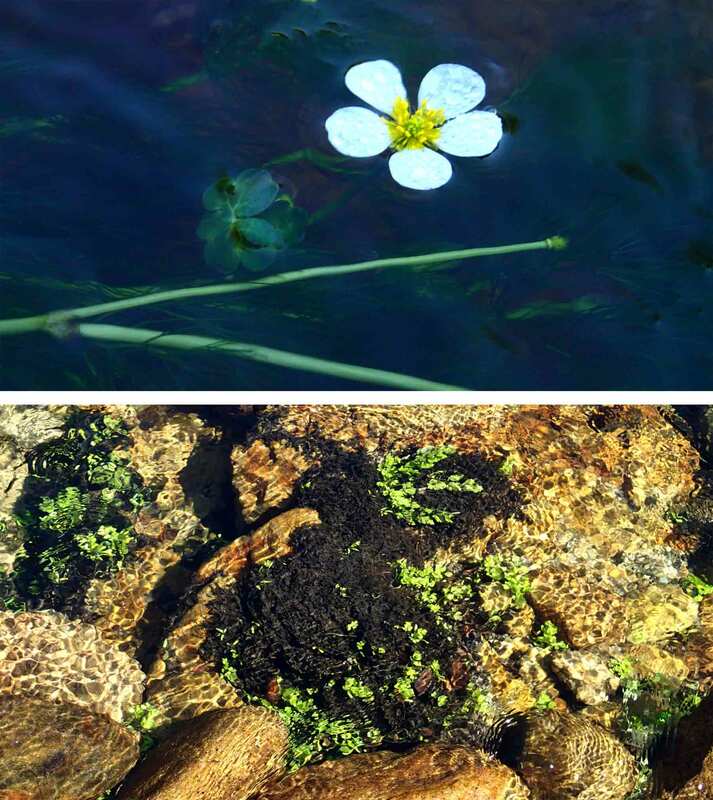 Back in early July I wrote about a visit to a pond in a local nature reserve (see “Pleasures in my own backyard”) and ended with the hint that there was one other abundant alga there that I was unable to name at the time. I was reticent about naming it, as it seemed to be a rare alga and the habitat where I had found it did not match the locations where it had been found to live. I’ve now shown it to Brian Whitton and he has joined me on another excursion to the same pond, and I can confirm that it is, in fact, Chroothece richteriana, a freshwater red alga. 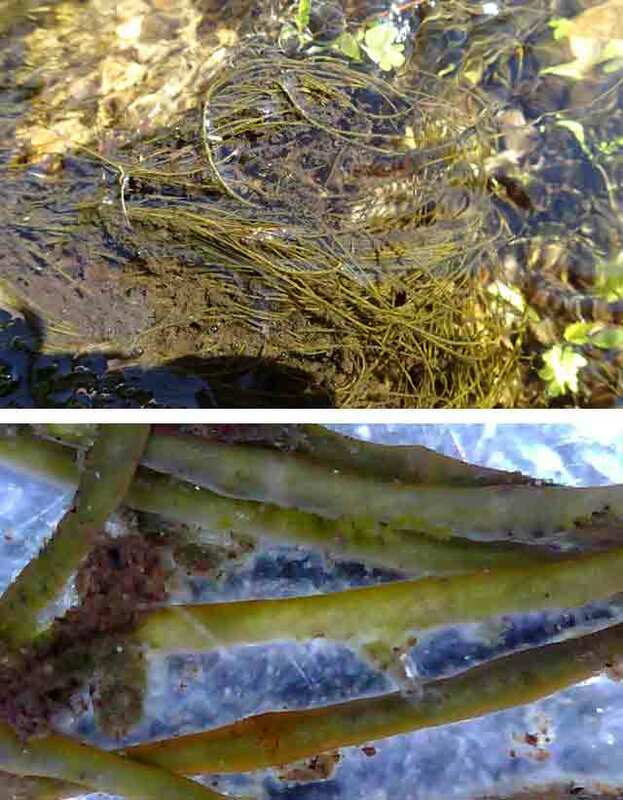 We’ve met (and even eaten) red algae several times over the lifetime of this blog (see “More from the Lemanea cookbook …”), but Chroothece is different in that it does not form filaments or thalli, but lives in mucilaginous masses. The individual cells, each of which are ovoid, with a single star-shaped chloroplast, live embedded within this mass. A colony of Chroothece richteriana growing on marl-encrusted rocks from Crowtrees Pond, County Durham, July 2016. Scale bar: 10 micrometres (= 1/100th of a millimetre). This is a species that was, until recently, known only from two very old records. However, searches over the past few years have found it growing at a number of different locations. There are now half a dozen locations in the UK, plus one in the Isle of Man. 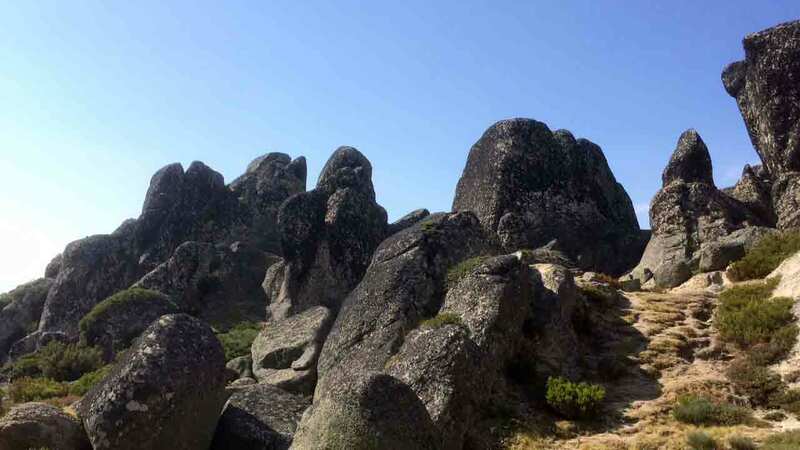 Interestingly, the population at Crowtrees matches these other records in respect to the underlying geology – limestone – which yields very hard water, but differs in being permanently submerged. 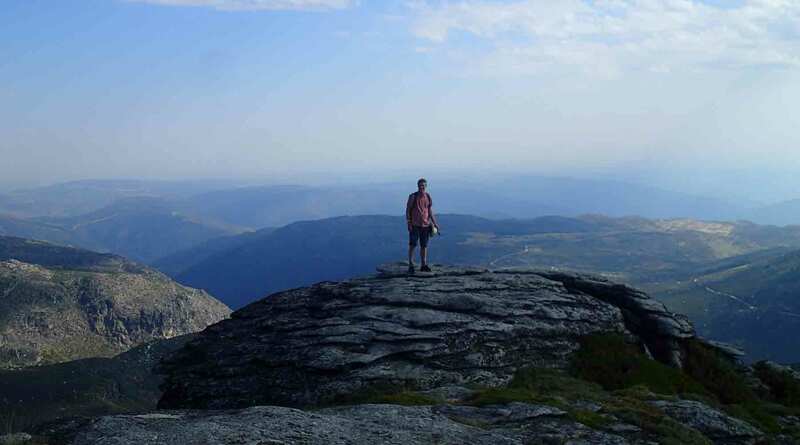 The other records are from seepages and other semi-aerial habitats. The population at Crowtrees formed a thin film that was firm to the touch due to the deposition of calcite crystals within the matrix. There were also some cyanobacterial filaments mixed in amongst the Chroothece, as well as the diatoms that I mentioned in the previous post. I suspect that the snails that I observed on my earlier visit were scraping up a mixture of all these species from the thin surface layer that had not yet had time to become hardened by calcite crystals. 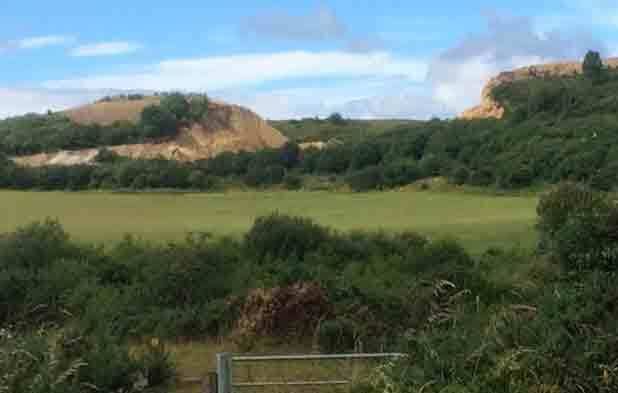 The view from Crowtrees Nature Reserve towards the Tarmac quarry, July 2016. Aboal, M., García-Fernández, M.E., Roldán, M. & Whitton, B.A. (2014). 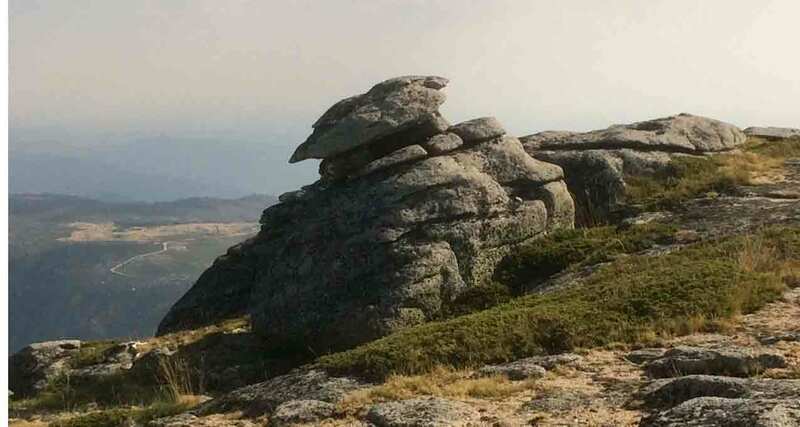 Ecology, morphology and physiology of Chroothece richteriana (Rhodophyta, Stylonematophyceae) in the highly calcareous Río Chícamo, south-east Spain. European Journal of Phycology 49: 83-96. Pentecost, A., Whitton, B.A. & Carter, C.F. (2013). Ecology and morphology of the freshwater red alga Chroothece in the British Isles. Algological Studies 143: 51-63. The story of the mysterious red alga that I wrote about a couple of weeks ago (see “More than just an insignificant dot?”) has taken another intriguing turn. Having decided that the alga was probably Audouinella pygmaea, I was shown a paper from 2011 by Orlando Necchi and Marianna Oliveira in which they consider the affinities of Audouinella species and came to the conclusion that Audouinella pygmaea only really exists in the imaginations of people who write identification guides. 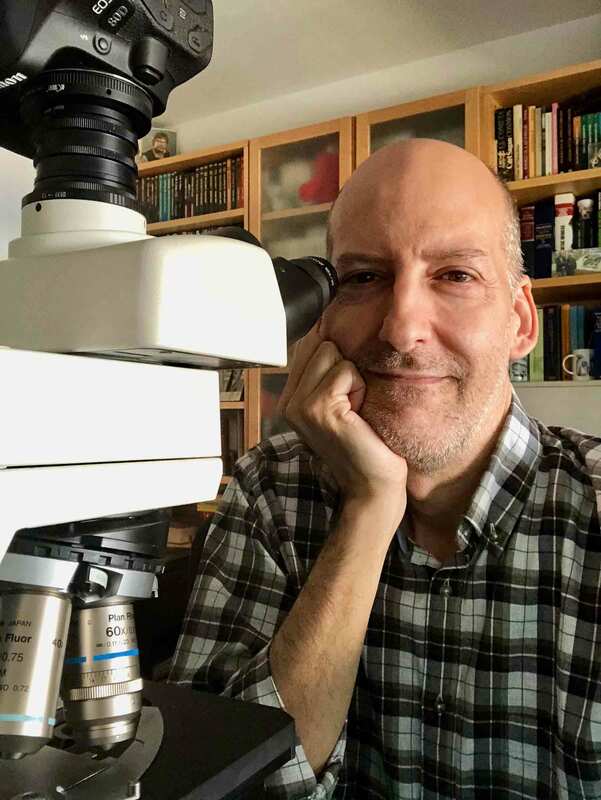 I’ve written before about the complicated life history of red algae (see “The schizophrenic life of red algae …”) and commented that it can be hard to differentiate between simple red algae such as Audouinella and stages in the life history of more complicated red algae. 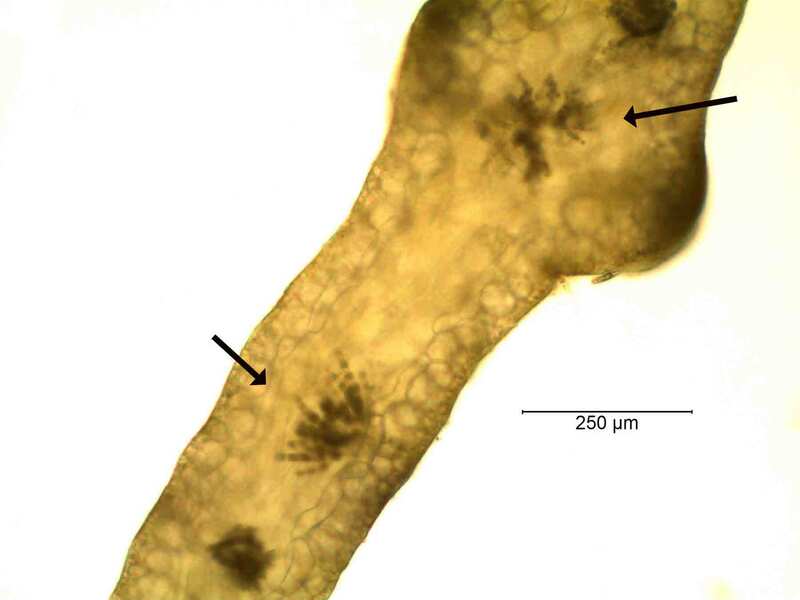 Audouinella hermanii, the red alga that I was writing about in those earlier posts, does not present us with any serious problems, as it is possible to see all the reproductive structures, which enables us to distinguish between the (haploid) gametophyte filaments and the (diploid) sporophytes. However, reproductive organs have not been observed on populations of A. pygmaea, which presents us with some problems. 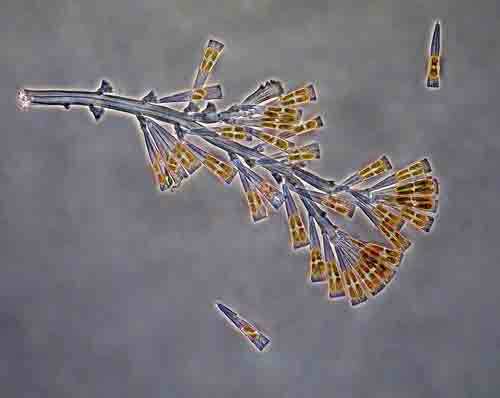 Is this really an independent species of Audouinella or just a “chantransia” (gametophyte) stage of another red alga? 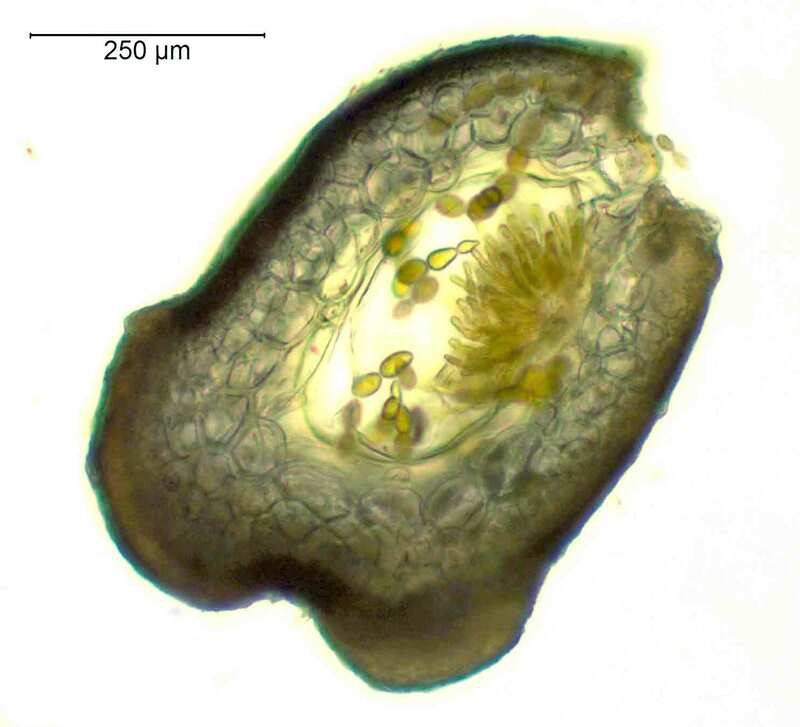 Necchi and Oliveria took a number of populations of A. pygmaea and another species, A. macrospora (which has not been recorded from Britain or Ireland) and compared their genetic composition with other freshwater algae. 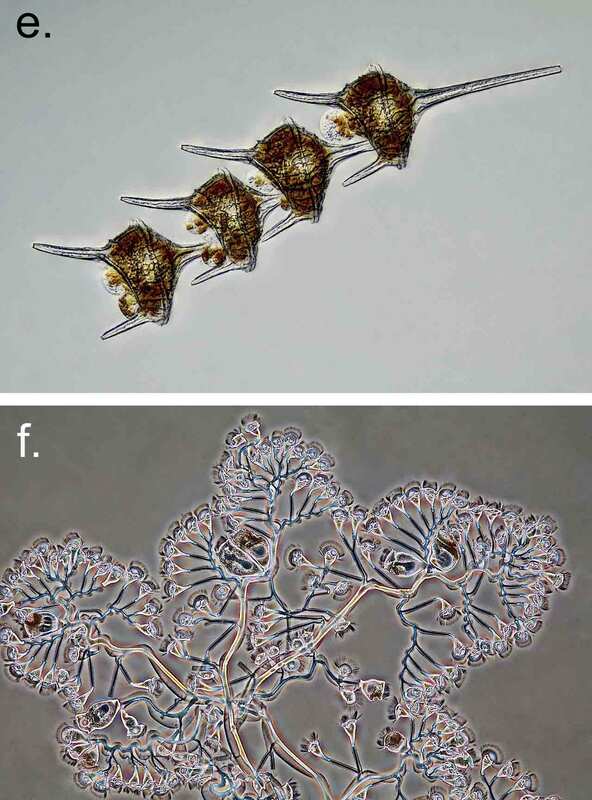 What they found was that these chantransia stages were more closely related to known species from other red algal genera than they were to each other. Their conclusion: “Audouinella pygmaea” does not exist in any meaningful sense. 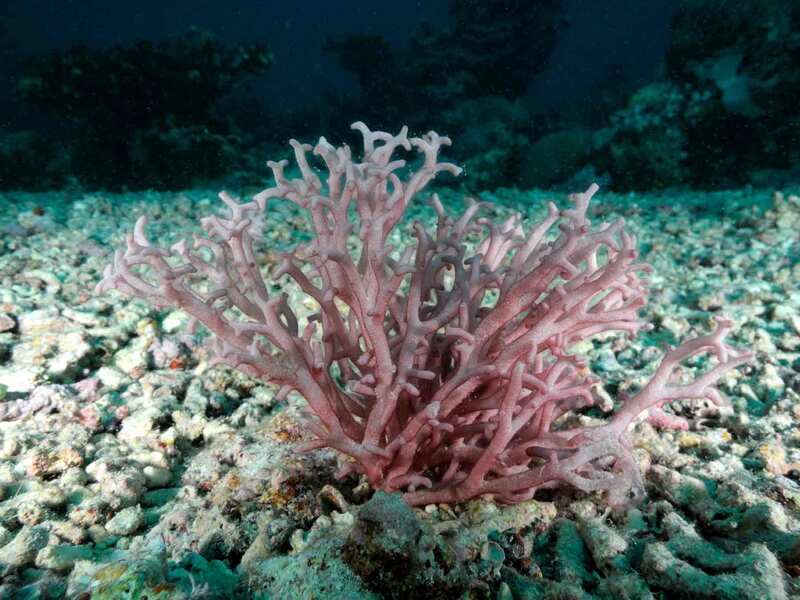 Rather, the populations we describe as A. pygmaea represent life history stages of other red algae. These life history stages are impossible to tell apart from one another using morphological criteria. However, there is a good chance that a thorough search of the Anghidi Fawr stream upstream of where the sonde was placed will reveal another red alga – most likely Batrachospermum or Thorea – that was releasing the carpospores that produced the filaments that we named Audouinella pygmaea. 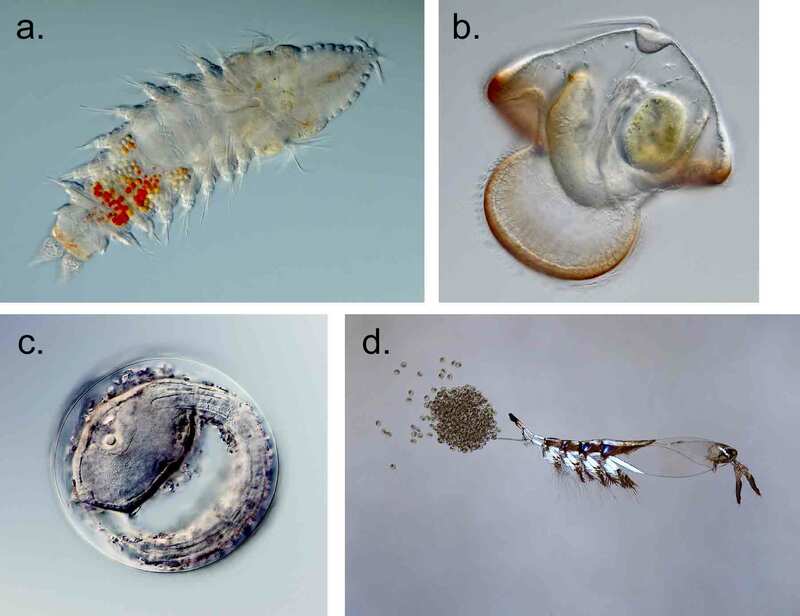 Curiously, this brings us back close to the situation almost 100 years ago as, reading my trusty old copy of West and Fritsch I read that the freshwater species we now call Audouinella were then placed in the genus Chantransia and that “C. pygmaea is probably a stage in the life-history of Batrachospermum moniliforme Roth.” Another case, perhaps, of things we forgot to remember? Neechi, O. Jr. & Oliveira, M.C. (2011). 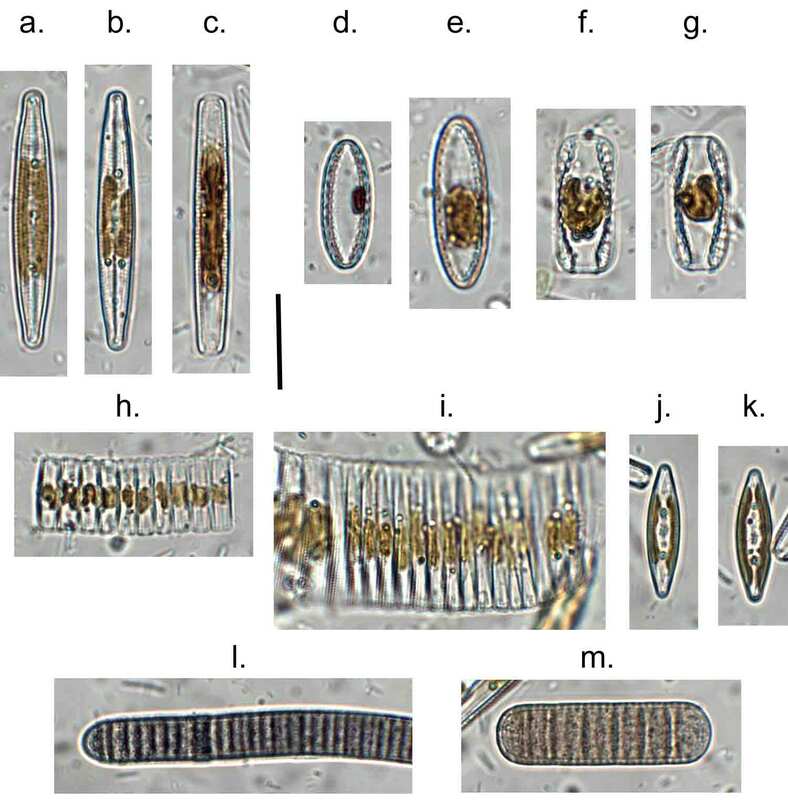 Phylogenetic affinities of “chantransia” stages in members of the Batrachospermales and Thoreales (Rhodophyta). Journal of Phycology 47: 680-686. West, G.S. & Fritsch F.E. (1927). A Treatise on the British Freshwater Algae. Cambridge University Press, Cambridge.